It can be a whim or a wallop that can have an impact on the international wine world and what you are drinking in your glass at home. Whims are as much a part of wine today as ever before with marketers and smart winemakers chasing younger demographics with snappy packaging, inventive packaging, and in hot pursuit of the millennial palate. Do those young wine drinkers want a sweeter, more fruit-forward taste? Maybe the hipster generation just wants sometime different – a new grape from a new region? A few recent notes out of Oregon suggest a whim that might prove a powerful one for those bold enough to change. Oregon is all about pinot noir and they do it really, really well. The vineyard numbers are something like 80-90 percent committed to pinot. But there are a handful of estates producing Gamay Noir. Gamay, you may recall is the great grape of the French Beaujolais wines. You may also recall it’s the ‘not so great grape” of those wines. No grape takes a bigger rap than Gamay and that’s mostly because of the seasonal Beaujolais Nouveau. Nouveau is harvested, bottled, and sold. It was a marketing ploy that worked about bringing the freshest vintage to market but simply was never very good. Fortunately, there have been efforts in recent years to highlight the Beaujolais Grand Cru wines. These wines are specific to terroir, aged and very affordable. Nice Gamay wine is lighter on the palate, like pinot. Gamay has a distinguishable fruit palate, like Pinot. Gamay wines are indeed something new to the vast majority of U.S. wine consumers. There are a few other pockets of Gamay around. I tasted Gamay at a couple of spots in upper state Michigan in recent years. I recall Chateau Grand Traverse offering a very nice Gamay Noir for less than $20. WillaKenzie and Brick House are two Oregon producers getting ink for their Gamay efforts. Grape Sense was born in October of 2007. This column is my 207th since No. 1, which was an introduction. I’ve written about wine, food, wine travel, documented my wine travel, and much more. I’ve heard from lots of readers the past nine years and have enjoyed watching circulation peak at approximately 300,000 homes at one point. Most of the papers carrying Grape Sense are in Indiana. I always pause in October to contemplate how well this effort has worked out. I also try to think of something different for the column. I’ve written here. and for a couple of other publications, quite a bit about wine travel. I have not written much about social media but do refer to this wine blog quite often – http://www.howardhewitt.net. So this may sound crazy but let’s try this together. 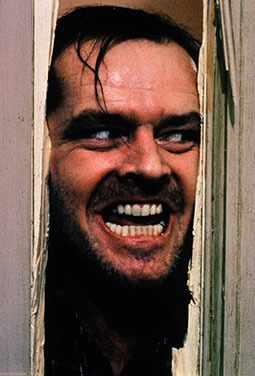 I want you to come along with me to the Willamette Valley Oct. 28-31. No, don’t go packing a bag because it’s going to be a virtual wine trip. I have gotten lots of questions through the years from Grape Sense readers about wine travel and many people would like to make a trip. I am headed to Portland for a long weekend with some wine drinking buddies. I have documented these trips in the blog previously. But this time I’m going to take a different approach. I shall use my blog to journal more than just post a few photos and maybe a few observations. I’m going to detail the kind of places our group of four is staying, how we’re getting around, where we’re eating, and of course our winery stops. I’m going to include what things cost, the distances traveled, and describe each experience with details beyond the glasses of wine. I’ve never tried this approach but have seen others do it. The posts will be long but I think it will be a fun writing challenge. As a writer, you’ll notice much of this column is written today in first person. I seldom do that but I want you to come with me to Oregon and enjoy the food, wine and sites. I want you to do that on your home computer not as a passive observer but with me. Visit the blog and read my “journal” entries then press the button at the top labeled “Leave a Comment.” Share what you think, or ask a question, get in on the experience by participating. Want to know anything about wine travel, just leave a question. I’ll answer in the comments section and hopefully we establish a dialogue. You have a chance to understand our budget, our planning, and come away with a blueprint for a wine vacation of your own. Just go to howardhewitt.net on Friday, Oct. 28 and join my three friends and me in the Willamette Valley. I’ll be posting Friday, Saturday, and Sunday. I’ll post a wrap-up of some nature late Monday. We’re taking that day to do some sight-seeing in the Columbia River Gorge and Mt. Hood. One more thing, let’s make sure everyone understands the reach of our conversation. When you leave a comment the first time, leave the name of the town where you read Grape Sense. Off we go on a wine adventure; come along with me. Spring is upon us and summer just a few weeks away. Just like the change of seasons, it’s time to sing the praise of dry rosé. Almost every year for the 8 years of this newspaper column dry rosé has been featured a time or two in warm weather. The columns usually start with a disclaimer that these pinks are not sweet but rather dry, satisfying, and delicious wines. Rosé is one of the greatest porch-sipping wines of summer. But good dry rosé also is a great food wine and is spectacular with seafood. The wine is diverse in that it’s made around the world and made with many different grapes. Breaking it down in the simplest of terms, red wine gets its color when the juice is left in contact with the purple skins. Rosé gets its signature pink color from greatly less time mingling with its own skin. There are so many to choose from but I strongly recommend two in particular. First, are the Rosé wines from Pinot Noir. Many of the great Oregon Pinot Noir labels are now making a Rosé. More and more California wineries are adding a pink wine to their lineup as well. Instead of a laundry lists of recommended wines, I’ll offer up just two. The first is Martin Ray Rosé of Pinot Noir. The Sonoma Russian River Valley wine is one of the best examples you’ll find of the Pinot version. It’s very reasonably priced at $15-$16 and can be found in better wine shops. The other recommendation is Chateau d’ Esclans “Whispering Angel” Rosé from Provence, France. Provence, in the south of France, is often considered home of the holy grail – the world’s best Rosé wines. Most of those wines are made of various blends of Grenache, Cinsaut, Syrah, Mourvèdre, and a local grape, Tibouren. The first release of Whispering Angel was in 2007 with approximately 150,000 bottles. 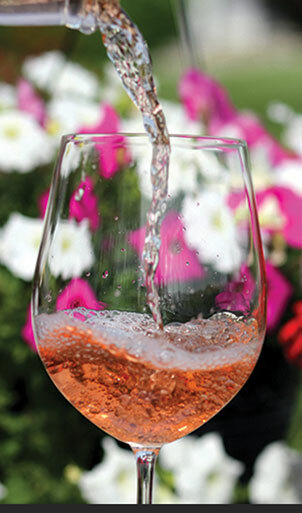 Rosé sales and consumption in the U.S. continue to have remarkable growth year after year. The 2016 production of Whispering Angel, alone, has exploded to more than 4.5 million bottles. Good, drinkable Provence rosé can be found at $12-$18. But Whispering Angel, at about $20 and several others under $30, really show off the best of Provence. Another great Provence producer is Domaine d’Ott. When I started writing a wine column seven years ago there was no intention of getting into the wine tour business. But there is a desire among many to travel to wine country with all of the arrangements taken care of by an insider. While I won’t quite claim insider status just yet, my first trip of 2014 treated my eight guests to fabulous food, accommodations, and wine tasting with owners and winemakers. The 2015 trip runs June 15-20, or five nights and four full days. Drink & Eat Oregon is designed for anyone with a wine interest. We’ll be drinking some of the best Pinot Noir along with Oregon’s signature Pinot Gris and emerging light-bodied Chardonnays. Here is how the trip works. Participants are responsible for their own transportation to get to Portland, Oregon. A room will be reserved for each couple at a major downtown hotel. We being with a reception Monday night June 15 and then take off for the Willamette Valley the next morning. Once you arrive in Portland – all expenses are covered by the trip fee until the trip ends Saturday morning, June 20. For my palate, Lange is one of Oregon’s most consistent producers. Again, all expenses – lodging, transportation, meals, wine tasting – are covered by the registration fee. The only thing not covered is the wine participants might purchase. That’s made easy too! You can have wine shipped home by the winery or join a wine club. Additionally, I cover the shipping costs, and all the handling, of one case of wine for each couple on the trip. You can buy a bottle or two here and there and your registration will cover the cost of having it delivered to your door. Last year we visited Lange Estate, Winderlea, Domaine Drouhin, Vidon, Alexana, Saffron Fields, and Hawk’s View Cellars. We dined at McMinnville’s iconic Nick’s Italian Café and Recipe in Newberg. Additionally, we take a break from all the wine tasting on Thursday and drive the stunning Columbia River Gorge. If you’ve never seen it, you are missing one of the most beautiful spots in the United States. The cost per person is $2600, double occupancy. 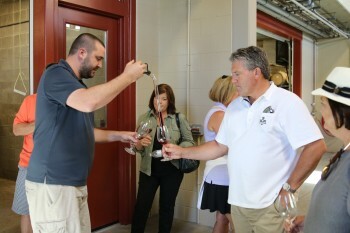 Just look for other similar trips and you’ll see it’s very reasonably priced for a boutique wine tour. As a matter of fact, when I checked search engines the closest thing I could find was a 3-day trip for $2700. A trip similar this one was $3800. Besides the great tasting experiences led by winemakers and owners, I’ll be along to answer questions and give some insight on Oregon wine and the spots we visit. 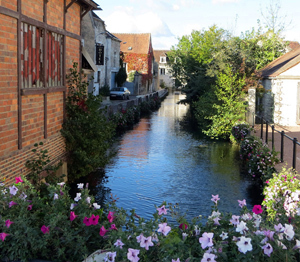 I already have considerable interest on a potential trip to Burgundy, France, for next year. There are numerous websites and publications detailing everything happening in the world of wine. Sometimes those issues are worth sharing. Indiana Senate Bill 113 – The Indiana Direct Shipping bill remains in House committee. The bill would remove the ridiculous 2006 restriction on Indiana wineries requiring a face-to-face purchase before wine can be shipped in state. The bill is a double-edged sword opening up an important stream of revenue for small wineries but increasing the licensing fee from $100 to $500. Contact your local legislator asking the fee be restored to $100 as Sen. Phil Boots intended. There’s a pattern here if you pay attention. The big alcohol related legislation of the session is Sunday sales but the same thing has happened. The legislation actually failed this week because the liquor lobby (read wholesalers/some retailers) objected. The bill was weighed down with the unruly burden of requiring supermarkets and drug stores to build walls. No one could make this stuff up. Rose, How We Love Thee. Dry Rose, and particularly dry French Rose, is one of the biggest success stories of the last decade. For too long pink meant sweet but now pink, or a light salmon color, means great dry French wine. For the 11th straight year exports to the U.S. of Provence Rose’ wine increased by double digits. In 2014, Rose exports went up 29 percent on volume. Oregon Stature Grows. The last two years have established the importance of Oregon Pinot Noir above and beyond some of its founders wildest expectations. When the ‘big boys’ start buying up properties it’s easy to label Oregon Pinot a worldwide success story. Domaine Drouhin started the foreign investment in the 1980s but recently it has exploded. Drouhin bought nearly 300 more acres of vineyard about a year ago. Louis Jadot more recently acquired a 32-acre vineyard and hopes to buy more. 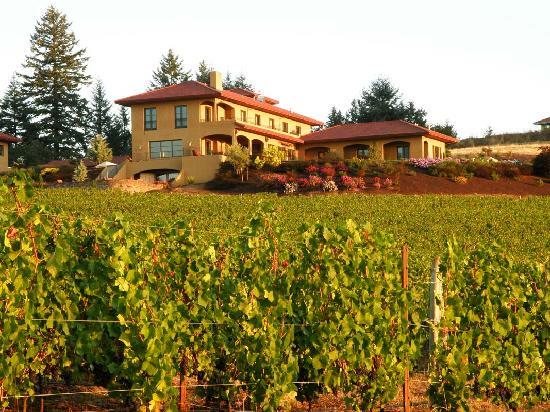 Jackson Family Wines, probably better known to the average consumer as Kendall-Jackson, has purchased nearly 500 acres of Oregon vineyard in two separate acquisitions. They are operating a winery near Yamhill under the name Gran Moraine. Joseph Wagner, think Caymus, has purchased the Elouan Brand while Bill Foley picked off 35,000 case boutique brand Four Graces. The interest shows Oregon is making great wine and has a great future. The purists must continue to hope some of these big boys don’t destroy the boutique feel of the Willamette Valley. Alexana winemaker Bryan Weil sharing barrel tastes. Join Me on Oregon Tour. 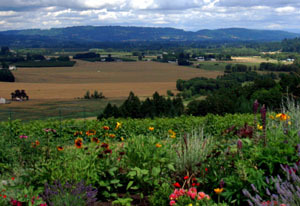 I’ll be hosting my second trip to Oregon’s Willamette Valley in June. It’s a five-night, four day boutique visit. We taste with winemakers and winery owners, stay in a fabulous bed and breakfast and eat in a couple of Oregon’s best restaurants. The trip is all inclusive one you arrive until you leave. You can find full details of the wine trip on the Grape Sense blog (www.howardhewitt.net). Click the link at the top “Drink & Eat Oregon” for full details or write me at the address below. SIENA, ITALY – From the lush green countryside of Oregon’s Willamette Valley to the majesty and golden valleys of Tuscany, a common refrain connects wine lovers. There’s nothing better than good food and good wine. Grape Sense’s first private wine tour, a five-day exploration of Oregon, was followed by a 10-day excursion in Italy’s Siena, Florence, and Rome. The first trip was private and wine/food focused while the current trip is about education and paying-job related. But in Italy there is no escaping the wine and food. And, who would want to do that any way? In Italy the gracious ristorante and trattoria owners offer smiles, warmth, and endless platters of great food. A mid-week drive through the heart of Tuscany was time for a short lesson on Italian wine. The travel group of 20 seems to enjoy wine but wanted to understand Tuscany for its wine as well as its art and history. The college professor leading the tour handed me the touring coach microphone for a quick lesson. It occurred to me as we resumed the ride, it’s a lesson that needs repeated. The not-so-difficult hurdle to understanding Italian, for that matter French, wine is to understand geography. The Old World wine countries identifiy wines by region and not grape. If you’re having steak and want a nice big California Cabernet, you head to the wine shop and buy a Cabernet. But in Italy you might buy a Super Tuscan or Brunello – neither of those wines are a grape. But each are made from Sangiovese – the grape most identified with Europe’s boot. Sangiovese dominates Tuscany and makes the Chianti, Chianti Classico, and Brunello wines. Sangiovese is usually blended with Cabernet, and sometimes a bit of Merlot or even Syrah, in the Super Tuscan wines. In Italy’s Trattorias (think small restaurant) to the nice ristorantes the Rosso flows freely from the jug or pitcher. A Rosso is essentially a table wine and almost always Sangiovese. It’s not fair to over generalize Sangiovese as bottom of the barrel wine production, but who ever said we’d be fair. The Rosso wines are pleasant enough and usually lighter than a Chianti with less acidity and less of the full dark cherry flavor of most Chianti. The quality varies greatly but it’s satisfying enough for the average tourist palate. Our travel group enjoyed an unique picnic in Montalcino, a hilltop town in the very heart of Brunello – Sangiovese’s shining-moment wine. We had a huge spread of crusty bread, salami, and Italy’s wonderful prosciutto and smoked prosciutto. We bought three different Brunello wines and a white to show our friends the difference between Italy’s entry level Rosso and its biggest star. It was a big hit. Many had come to Italy expecting great wine at each meal and were slightly disappointed they had not found that. But now they’re spoiled and my work is complete! But on a more serious note, there is nothing better than exploring everything a new wine region – whether it’s a state or country – has to offer. And when the opportunity arises, explore that wine region from its least to its best. Chianti wines are widely available from the supermarket to wine shops. I always suggest trying the Chianti Classico which offers softer tannins and richer fruit for just a few dollars more. Great Classicos can be found at under $25. Brunello is king of the Tuscan mountains but substantially more expensive, starting at twice the per bottle cost of a good Classico. We’re off to Florence as this is written and then Rome – more great wild boar sauce, pasta, beef, veal and Sangiovese await. Jesse Lange, Lange Estate Vineyards, once told me that there really aren’t bad vintages, just years when you find out who can make wine! The Oregon winemaker had a point beyond bravado. There have been some up and down vintages in the Willamette Valley just like there are in any wine growing wine regions in the world. Initially, as I recall, the 2007 vintage was weak and only garnered a Wine Spectator 84 rating – the lowest in 10 years. I read a few mixed reviews about the 90-point 2009 wines but found them rich when I was in the valley shortly after the release, and again last night. Last night there was a silkiness to the mouth feel. I had a couple bottles of the Lange 2009 Lange Estate Vineyard Pinot put away and opened one last night. I’m an admitted fan but last night’s glass was really great. It was also the first time I had used my Riedel Oregon Pinot Noir glasses at home – and by golly they make a difference! I had a very experienced wine-drinking buddy over and walked him through the tasting of Pinot with the Riedel glass along with the Syrah and Cab model – he was equally impressed. The wine had such a beautiful balance. It was just a tad floral, nice bright cherry and raspberry. I would definitely call it elegant wine. Lange Estate Vineyard 2009 Pinot Noir, bought this off an internet flash site and had hard time tracking down retail – most Lange vineyard designate wines are $50-$60. Very Highly Recommended. The only good thing about looking forward at the start of the year is no one remembers your predictions a week or so later. That said, there are lots of trends and movement in the wine world which will have an impact on the average wine drinker. For the first Grape Sense of 2014, it makes sense to look ahead a bit. Moscato – That sweet white wine that seems to be everywhere is exploding. But that’ s not news since it all started in 2012. Sales increased by a third in 2012 with little sign of letting up in 2013. The light alcohol and light fizz has proven wildly popular with younger consumers. From hip-hop artists to long-time sweet wine lovers, Moscato has become the go-to beverage. California is providing most of the sweet white but look for other labels to join the band wagon. Furthermore, check out your local grocery, wine shop, or liquor store shelves and you’ll find major labels offering a variety of sweet wines. Red wine blends are another area continuing to expand and grow. A good red wine blend can go from the inoffensive to nuanced and satisfying to even the most discerning wine drinker. Better yet, you can often get big bold flavors from a good California or Washington blend at a fraction of the cost of single variety wines. Red wine blends offer some of the best value options for better wine. The biggest sales growth areas are Moscato, sweet red blends, and Malbec. Malbec is a great intro point for those trying to expand beyond Cabernet, Merlot and Pinot Noir. It’s a great food wine and a wonderful way to start exploring beyond your normal tastes. Millenials and apps have been the talking points for much of the wine media over the last few years. Younger people are the fastest growing segment of the wine-buying population. They do drink sweeter wines but they are also very willing to try something new. The younger section of the market is also driving wineries, marketers, and everyone else in the wine business to go more digital. There are smart-phone applications to find wine, rate wine, and journal your own wine drinking. Packaging is another area where innovation continues to push the market. Wine is turning up on shelves, particularly value wine, in single servings, all shapes of paper and glass containers, and other new ways to supplant the 750ml bottle. and Indiana to get the world’s attention with its small production of wine. But the quality of the ‘other states’ wines continue to improve. Each year I visit quite a few Indiana wineries, and a few in surrounding states, the quality continues to show considerable improvement. It’s not just the top producers but some of the smaller state wineries have learned to focus on quality. Wine travel is a great vacation and another industry that just grows and grow. I will be joining that trend in 2014 by leading a boutique-type experience in Oregon’s Willamette Valley in June. Whether it’s a trip you plan yourself or an organized wine adventure, the internet has really made it easy to plan a great wine vacation. Click here if you’d like information on the Oregon trip I’m hosting or simply to add your name to my mailing list for future trips. Happy New Year to all. Thank you for reading Grape Sense!